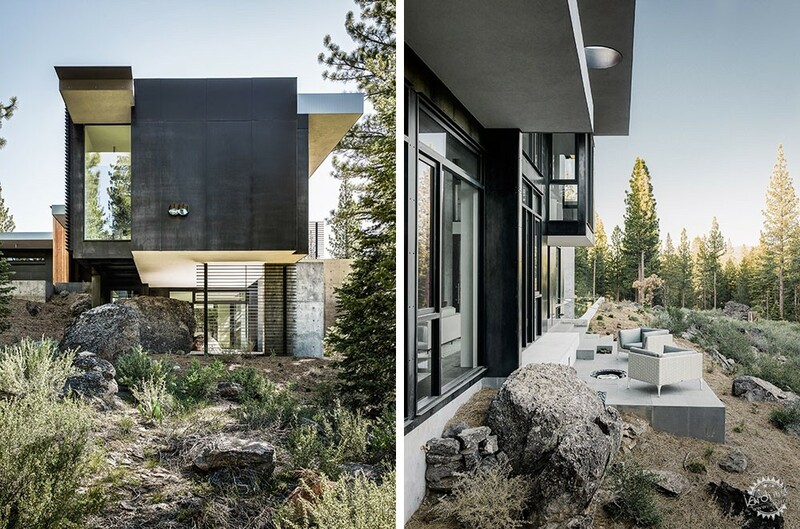 "Don't hurt the boulders" was the request from the client who asked Faulkner Architects to design this remote getaway on a rocky site in California. The AIDS research scientist lives in New York City but desired a place to escape to. 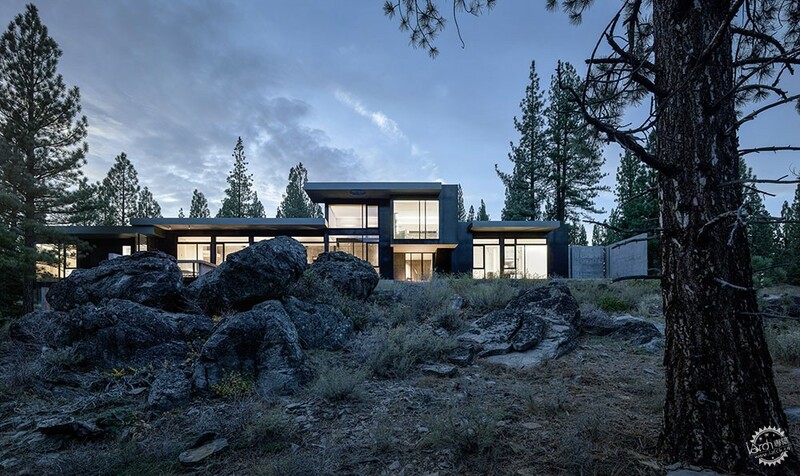 After finding a site on rough terrain leading down to a ravine in Truckee, near Lake Tahoe, they turned to locally based Faulkner Architects. 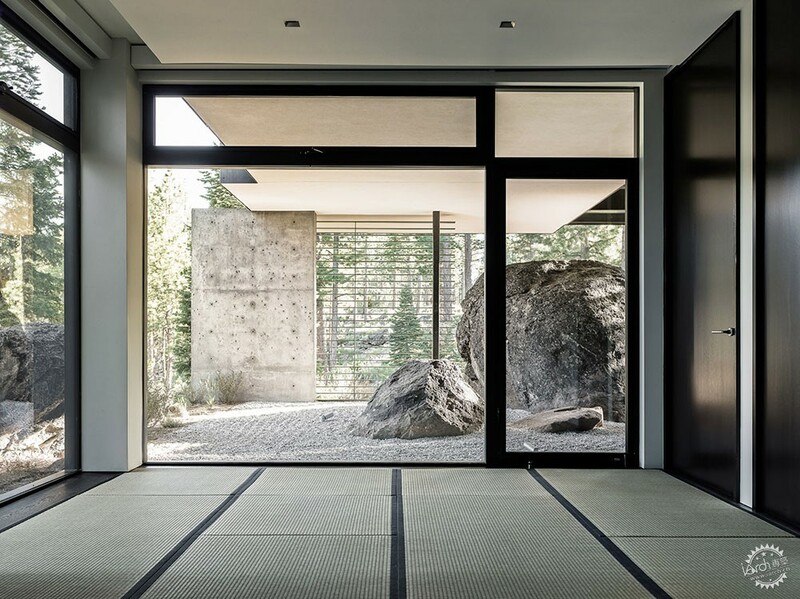 Respect for the untouched natural setting was a priority from the outset, so the firm designed the residence over or around all of the largest boulders dotted around the plot. 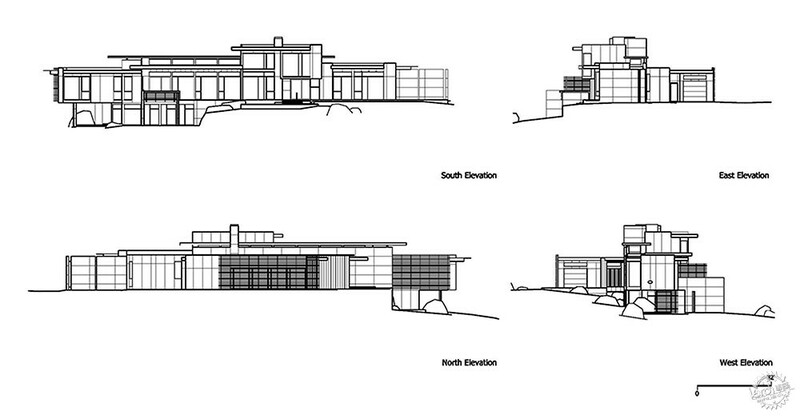 "The house was built around and in deference to every rock," said Faulkner Architects. 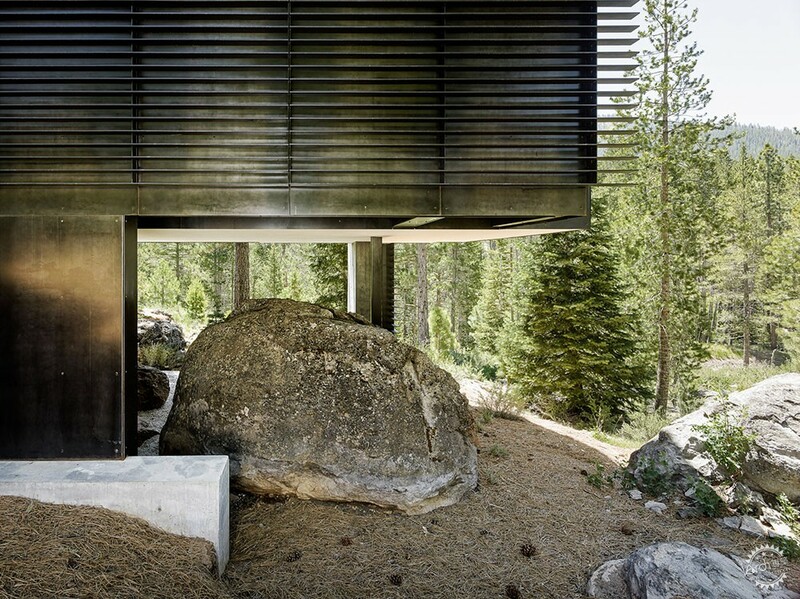 "The house cantilevers over several boulders; there's a feeling of it not even touching the site," they added. 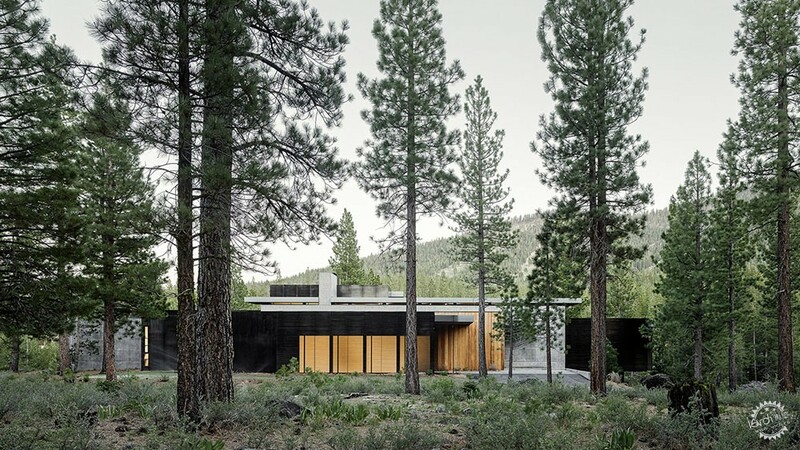 The low-slung Creek House is clad in concrete, wood, and dark panels – a sober palette that allows it to blend into its context. The main entrance is from the north, where a massive wall runs from north-east to south-west. 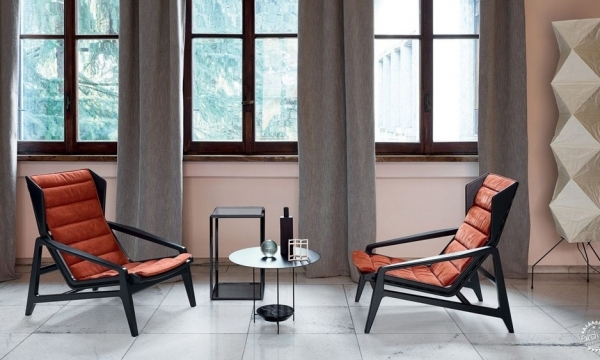 This provides privacy for the client, but also helps shade the interiors from the summer sunlight, which can be harsh. 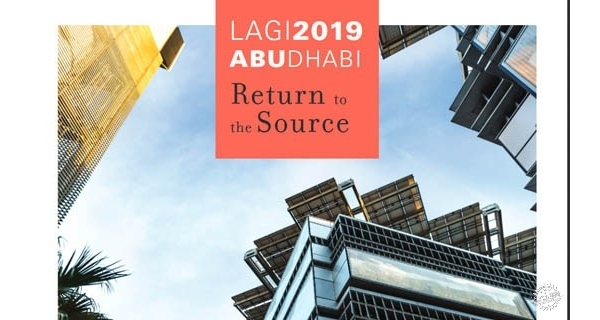 "Densely packed public areas lead to wide-open private spaces," said the architects, describing the programme as "a reversal of the usual, where the private spaces are smaller and more enclosed." 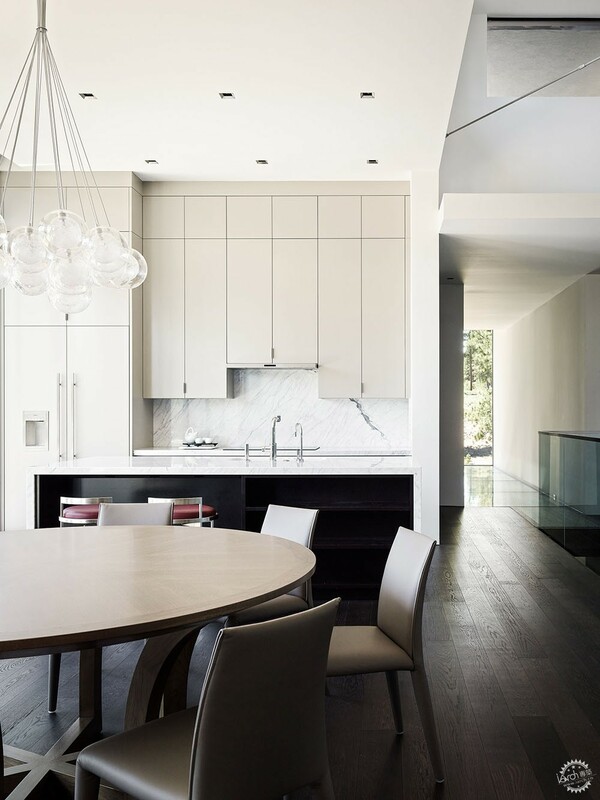 An open-plan kitchen, living, and dining room occupies the centre of the home and overlooks the ravine below. A corridor follows the main concrete wall, leading to private quarters at either end of the longitudinal home. In addition to the two full bedrooms, a partial lower level contains a meditation space that can be used as a sleeping area when required. 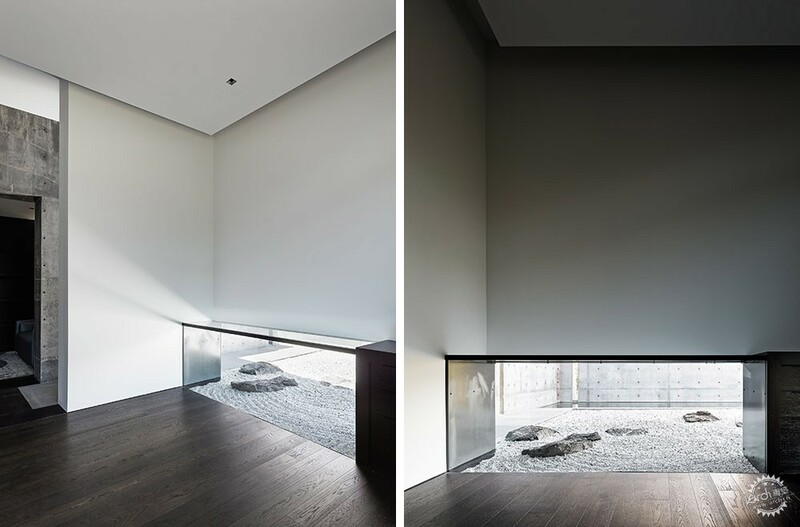 Above the main volume of the house, a single room serves as a home office, but also acts as a clerestory window to bring light and air into the centre of the building. 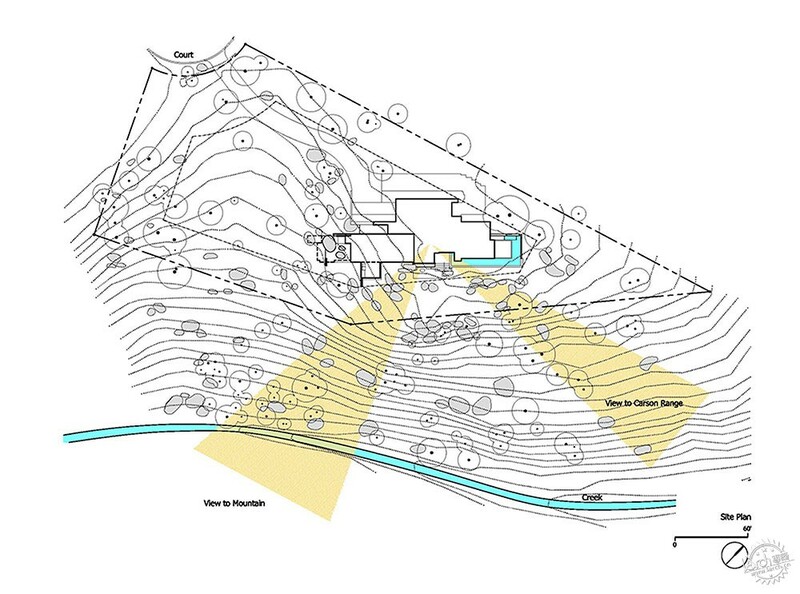 Faulkner Architects wanted to avoid a top-down approach to the design, and engaged with the client's family throughout the process. 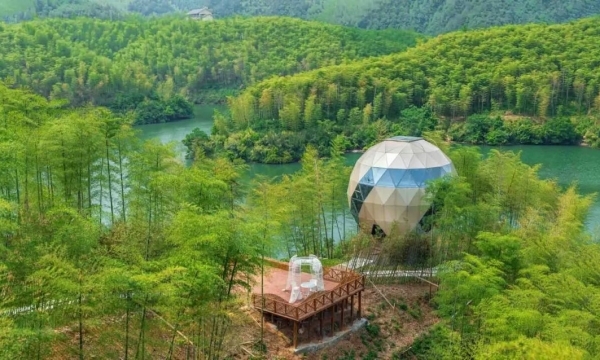 "All of it creates ultimately contemplative architecture, ideal for a sprawling multi-generational family, each member of which contributed input – ranging from cultural significant geometry to finishes and tonal qualities – to the project," the studio said. 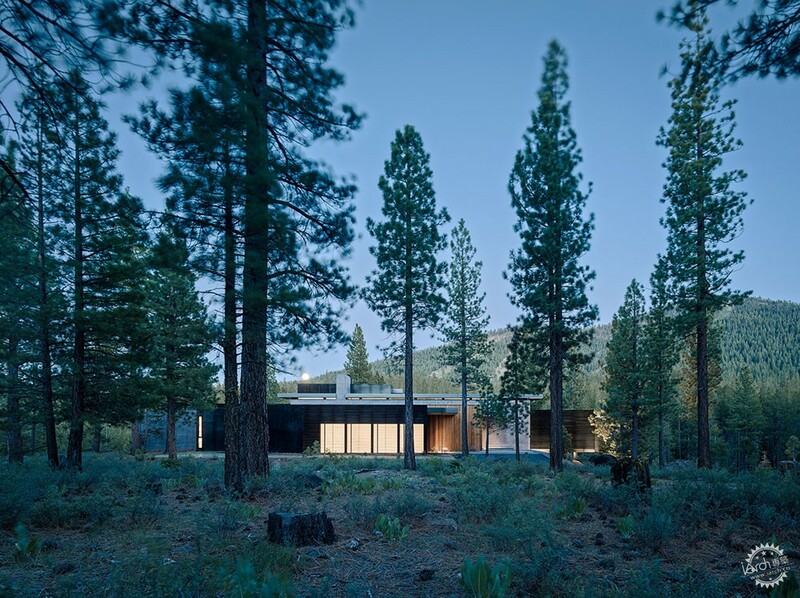 The interiors of the residence were finished in muted tones, in deference to the project's natural context. 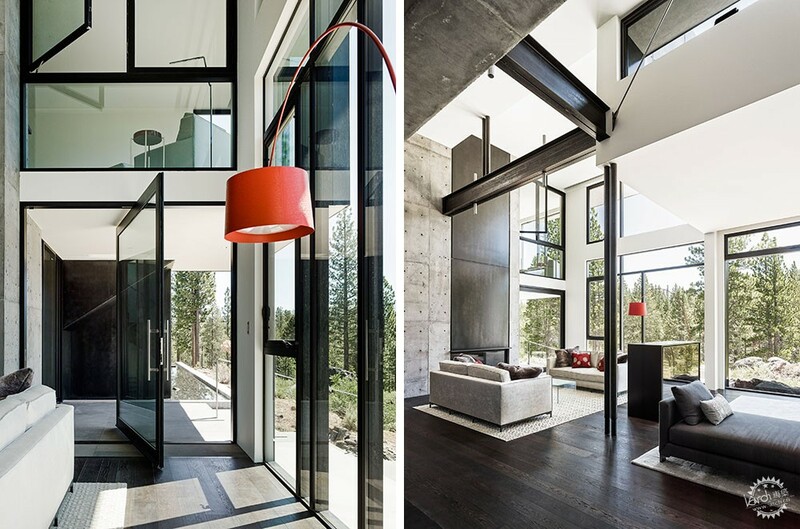 Concrete, steel, and wood feature prominently, with expansive windows throughout. 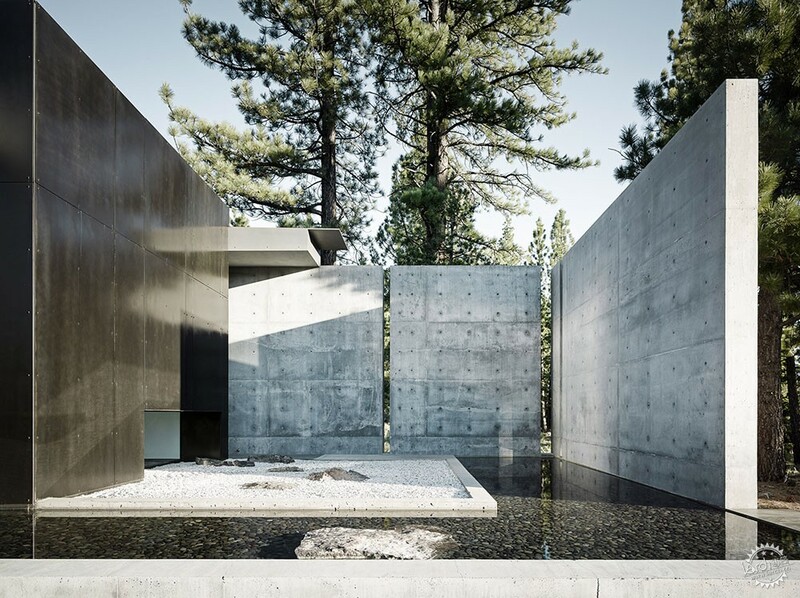 "Steel and rift-sawn oak create shadows that contrast to naturally-illuminated concrete, bluestone, an、d white gypsum walls," said the architects. 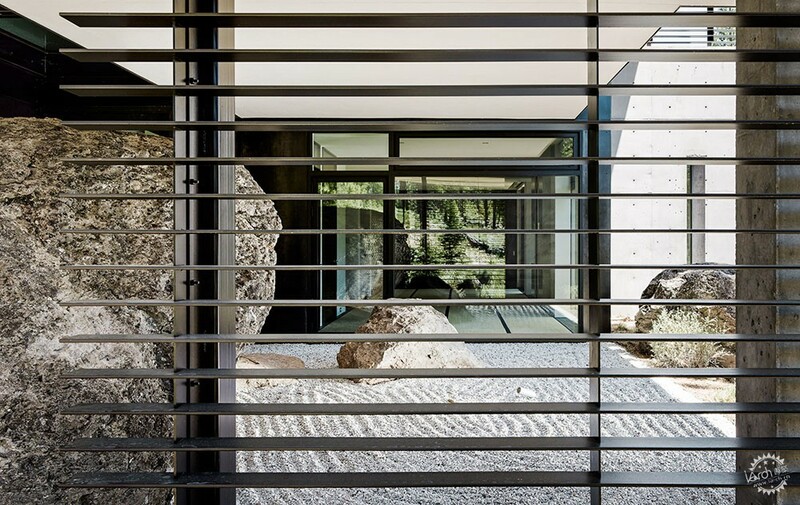 Small rock gardens outside the home and occasional glass floors over the boulders are reminders of the client's initial intention to leave the site undisturbed. 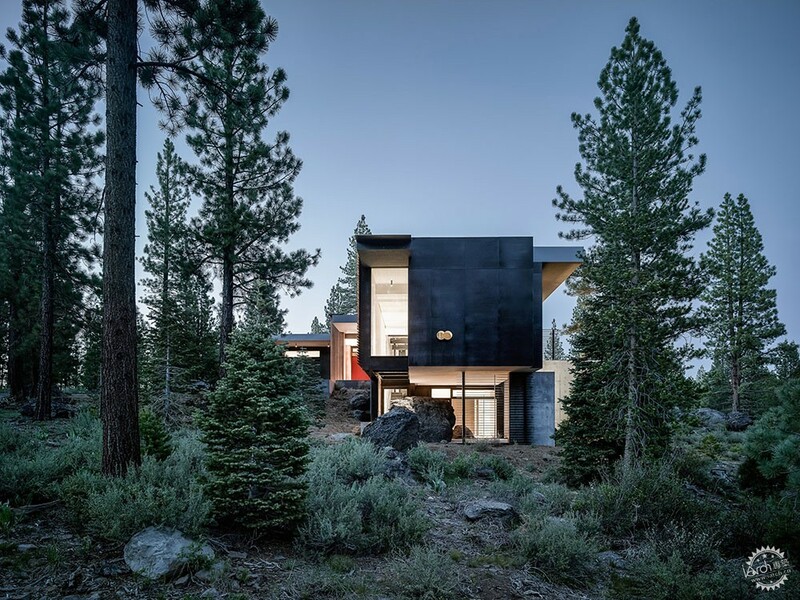 Faulkner Architects has completed two other projects in Northern California: a family residence clad in weathering steel and a spacious dwelling in the Sierra Nevada Mountains.